With hilarious yet endearing portraits of his family and their many unusual hangers-on, The Corfu Trilogy also captures the beginnings of the author's lifelong love of animals. Recounted with immense humour and charm, this wonderful account of Corfu's natural history reveals a rare, magical childhood. 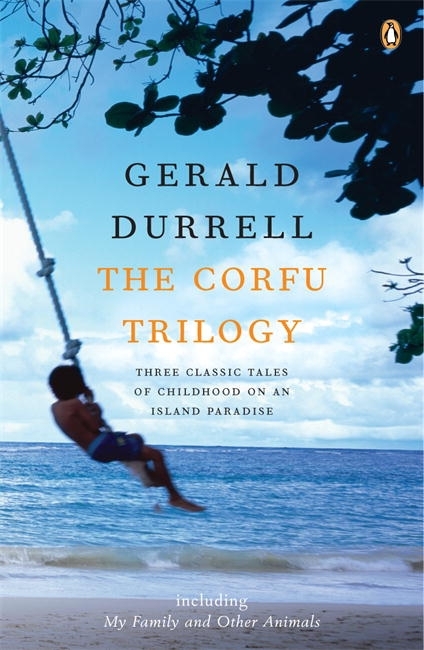 %%%Three classic tales of childhood on an island paradise- My Family and Other Animals, Birds, Beasts and Relatives and The Garden of the Gods by Gerald Durrell, are available in a single edition for the first time in The Corfu Trilogy. Just before the Second World War the Durrell family decamped to the glorious, sun-soaked island of Corfu where the youngest of the four children, ten-year-old Gerald, discovered his passion for animals: toads and tortoises, bats and butterflies, scorpions and octopuses. Through glorious silver-green olive groves and across brilliant-white beaches Gerry pursued his obsession . . .causing hilarity and mayhem in his ever-tolerant family. 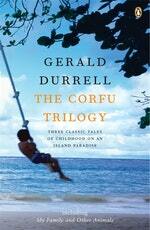 Love The Corfu Trilogy? Subscribe to Read More to find out about similar books.